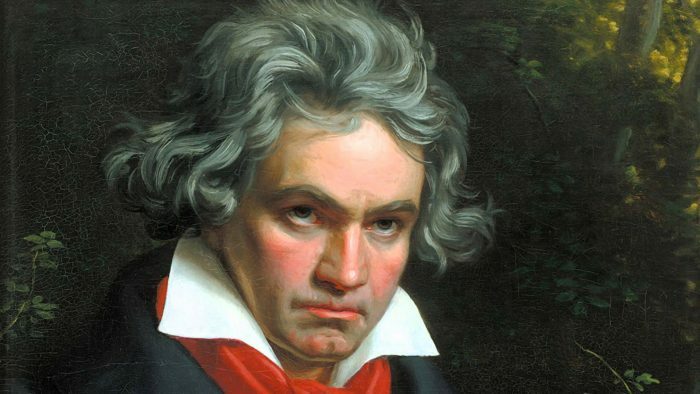 The Story of How Beethoven Helped Make It So That CDs Could Play 74 Minutes of Music #MusicMonday « Adafruit Industries – Makers, hackers, artists, designers and engineers! Back when it first came on the market in 1982 (packaged in longboxes, you’ll recall) it seemed impossibly high-tech, inspiring dreamily futuristic promotional videos like the one below and emerging from a process of development that required the combined R&D and industrial might of both Japan and Europe’s biggest consumer-electronics giants, Sony and Philips. Milner also mentions that “Philips wanted a 14-bit system and a disc that could hold an hour of music, while Sony argued for 16 bits and 74 minutes, supposedly because that was the length of Beethoven’s Ninth Symphony,” though he calls the Beethoven bit “likely a digital audio urban legend.” But, like any urban legend, it contains grains of truth, though how many grains nobody quite knows for sure.